Rural Lifestyle Dealer staff reporters hit the road for you to stay up on the latest product offerings from the industry's leading suppliers. Here's a list of recent events we've covered. Two tradeshows – GIE+EXPO and Hardscape North America – co-located in one central location, provide what many consider the No. 1 opportunity to see what our industry is buzzing about. The 19 acre Outdoor Demonstration Area, within easy walking distance of the indoor exhibits, and the New Products Showcase make these prestigious shows an exceptionally efficient, productive marketplace. The Farm Progress Show, the nation's largest outdoor farm event, annually hosts nearly 600 exhibitors displaying new farm equipment, tractors, combines and farm implements; seed and crop protection products; and many additional farm supplies and services. Producers from the U.S. and around the world attend this key annual agricultural event. The show is an excellent learning opportunity and includes a wide variety of marketing, management and production seminars. 860 exhibitors cover 1.2 million square feet of floor space as the National Farm Machinery Show continues to be the largest indoor farm show in America. 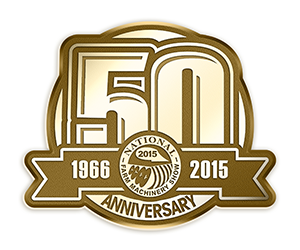 For 50 years, the National Farm Machinery Show has offered the most complete selection of cutting-edge agricultural products, equipment and services available in the farming industry. Business professionals from around the world gain knowledge and hands-on access to various technological advancements needed for the upcoming farming season during the four-day show.